The trick with updating an old house is keeping the character of the original style intact while giving the house modern function and appeal. 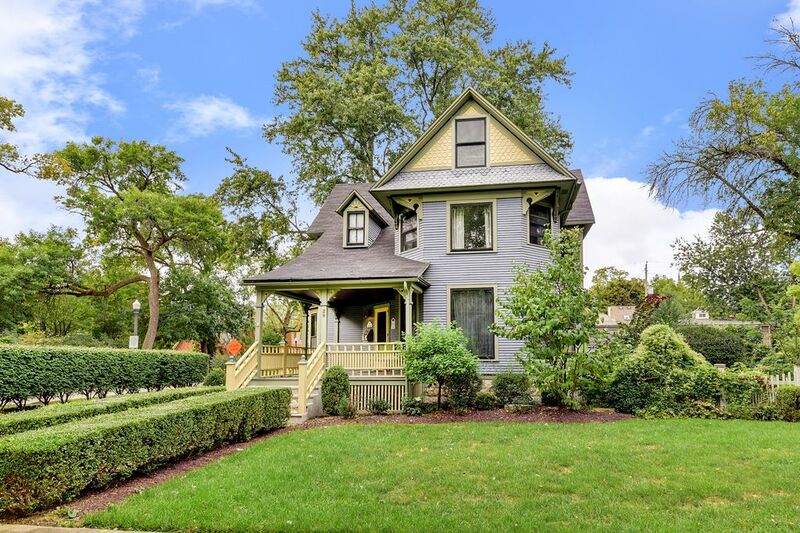 We think the owners of this 2,700 square foot Queen Anne Victorian home in Naperville, IL did a pretty good job of that. 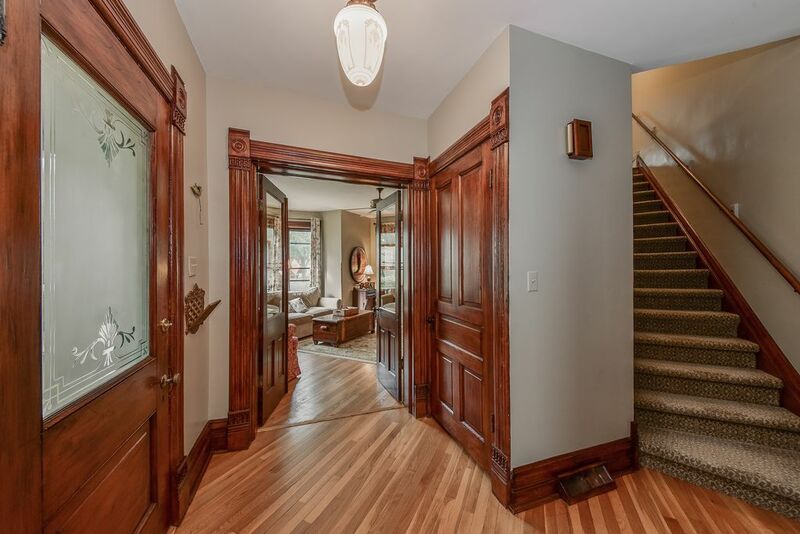 The 4-bedroom 3-bath house was built in 1900, according to the real estate listing. Honestly, we’re not crazy about the choice of paint colors on the outside, but that’s easily fixed. More importantly, the original details of the house are mostly intact. The first view of the inside shows how much of the original character remains. Walls and doors have been moved around a bit since 1900, but the interior is timeless nonetheless. 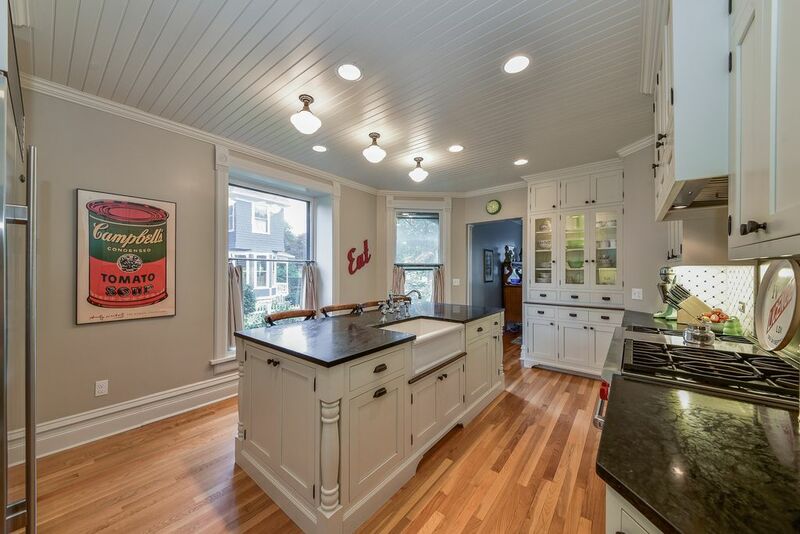 But that kitchen! 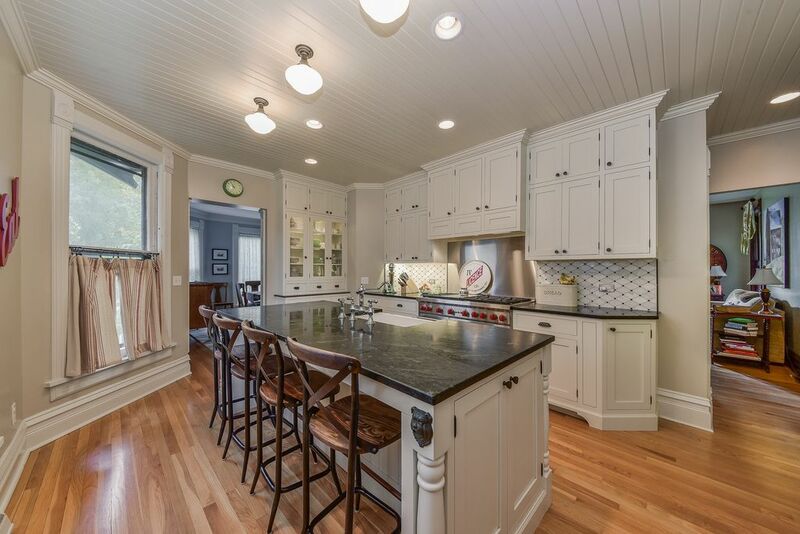 Period details abound – the cabinet doors, the light fixtures, the apron-front sink, and vintage faucet set mix perfectly with the top of the line appliances and artwork. 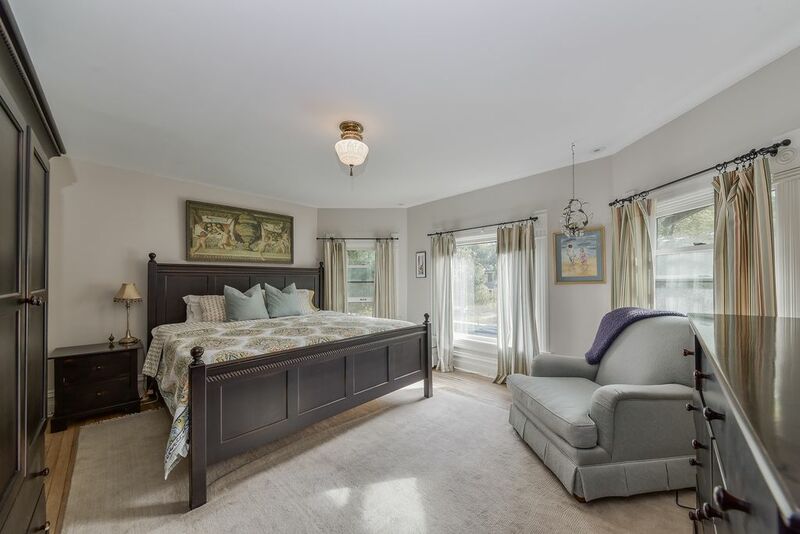 The layout in the master bedroom makes good use of the big bay at the front of the house. And the decorating is done with a wonderful palette of restful, muted hues that are perfect for a bedroom. 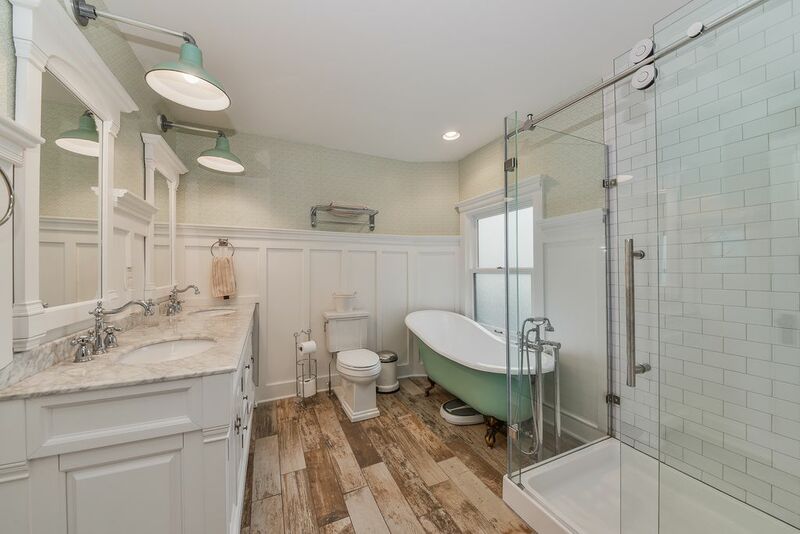 The master bath really pours on the period detailing, including a vintage clawfoot tub and a shoulder-height board-and-batten wainscot. The “wood” flooring is actually tile. 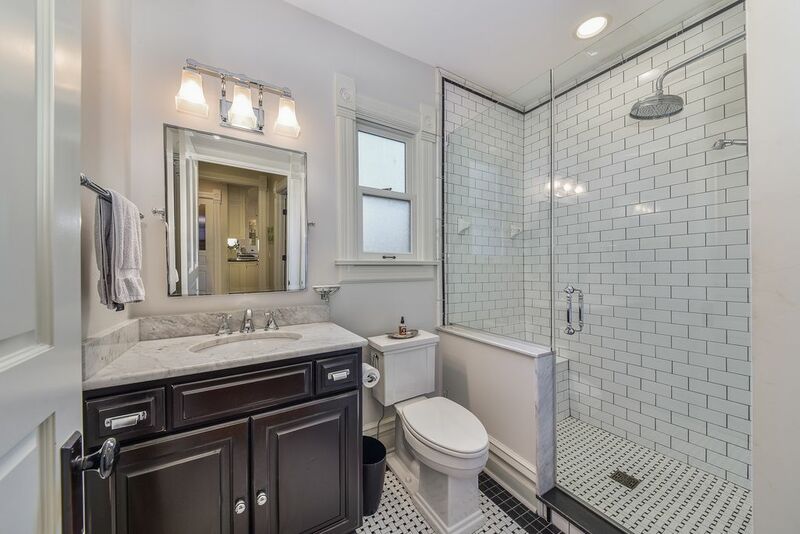 On the first floor, this hall bath is every bit as nice as the master bath upstairs. The white color scheme of the full-height subway tile in the shower carries through the basket weave floor tile and the marble countertop. 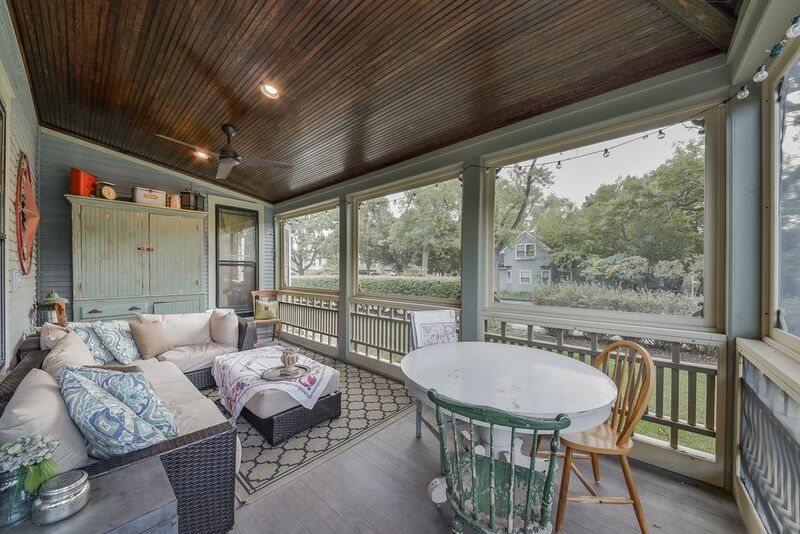 It’s a lot of character in just 2,700 square feet!